Evaluation of POLSTA by the dairy farmers: very good! The animals accept the cubicles well and maintenance is facilitated. 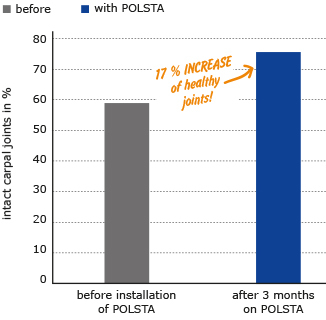 Although good joint health prevailed already in the cow houses from the beginning, further improvement was shown even after a short period of time!